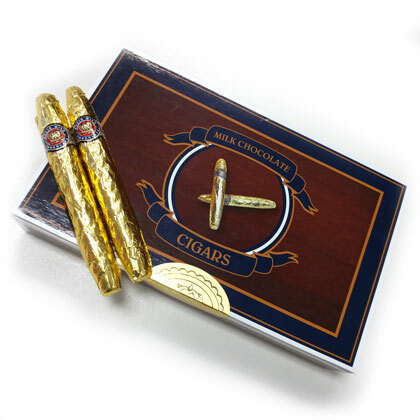 Whether they're for a celebration or just plain fun, these gourmet milk chocolate cigars are great! Box of 24 cigars, 2 layers, 5.25 inches long and .75 oz per cigar. OU Kosher Dairy. Made by Madelaine.